Janet Somerville Brown’s Descendants Visit Bonnyrigg. 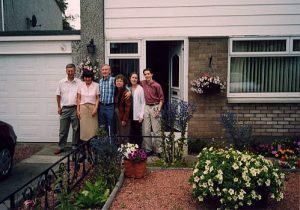 On Wednesday August 20th 2003, members of the Society were delighted to welcome Mr David Reeves and his family from Connecticut, USA to Bonnyrigg. 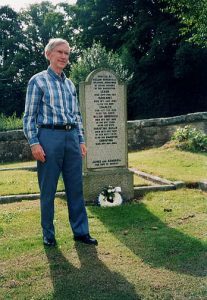 Mr Reeves is a grandson of Janet Somerville Brown and a cousin of Anne Didier who supplied most of the material on Janet Somerville Brown that can be viewed on this website. Neil & Helen Stewart hosted the visit and the Reeves family were able to see the former Lasswade Primary School (now Pinocchio’s Nursery School), Bonnyrigg Parish Church, the former site of Whinnyrow (now Lothian Street/Raes Gardens), the former residence of the Somerville family (formerly 9 now 20 Maryfield Place), the Somerville family grave at Cockpen Cemetery and Cockpen School. Following an exchange of e-mails and a telephone call between David Reeves and Neil Stewart the details of the visit were agreed. However Neil Stewart found that some further research was necessary regarding the Somerville family residence at Maryfield Place. 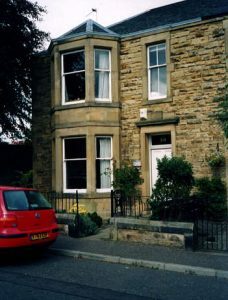 Following conversations with David Reeves and also Anna & Isobel Nicol from Maryfield Place, it was discovered that the property previously identified by Neil Stewart from earlier research was not in fact the correct one. It appears that the houses in Maryfield Place must have been renumbered at some stage. 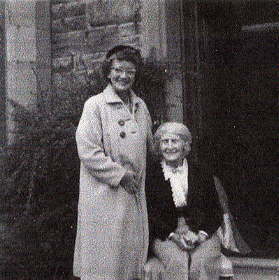 This theory was confirmed by Anna Nicol who also remembers the Somerville family including Janet Somerville Brown and her sister Christina Somerville. 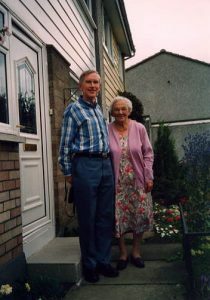 David Reeves remembered the property from an earlier visit made in 1962 with his mother Elsie Reeves (Janet’s daughter), as being a two storey house and not a single storey as previously advised. Following the visit the Reeves family enjoyed afternoon tea with Neil & Helen Stewart, Anna & Isobel Nicol and the Society’s secretary Sheena Johnson, before returning to their hotel in Edinburgh. 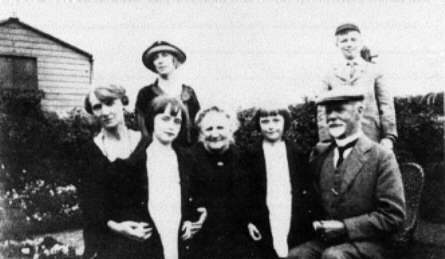 David Reeves has kindly supplied two monochrome photographs of Janet Somerville Brown’s visit to her family in Bonnyrigg in 1925 and also Elsie Reeves visit to her Aunt Christina Somerville in 1962. These photographs are re-produced below together with a selection of colour photographs from the Reeves family visit in August 2003. L to R, Neil & Helen Stewart, David & Virginia Reeves with their daughter Sarah and son Ben. The monochrome photographs were kindly supplied by David Reeves. All colour photographs and text by Neil Stewart. Bonnyrigg Community Day: Thank You!